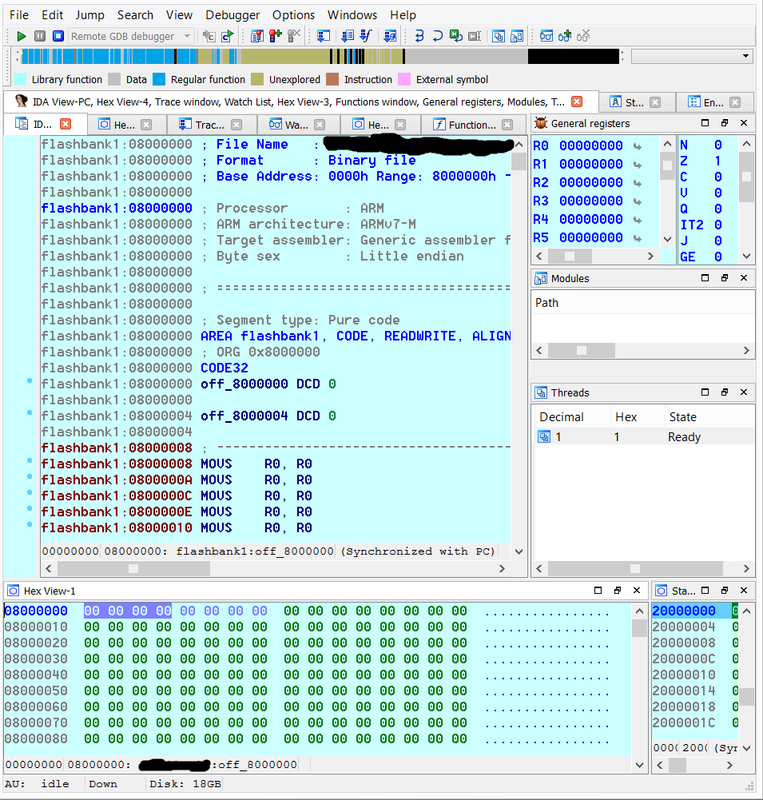 I'm trying to emulate a snippet of ARM assembly I have in IDA pro using QEMU. However I do not understand the output of the program. When I start debugging the firmware, windows pop up for QEMU. However all the data in IDA turns into zeros, as can be seen in the picture below. Is this normal behavior of the program? Browse other questions tagged ida firmware arm qemu or ask your own question.